I doubt whether we’ll hear this from the RSPB. 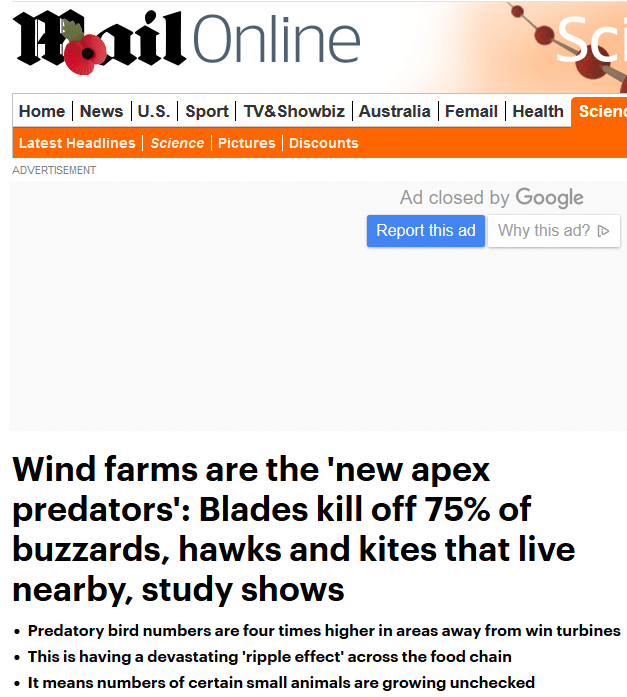 And they say climate change is depleting species but this wonton slaughter in the name of sustainable en ironmemtalism is ignored in the main stream media. As subsidies dry up and more people learn the truth about the true cost “Renewable Energy” these thing will become a thing of the past and go down in history as an insane scam that could never work.